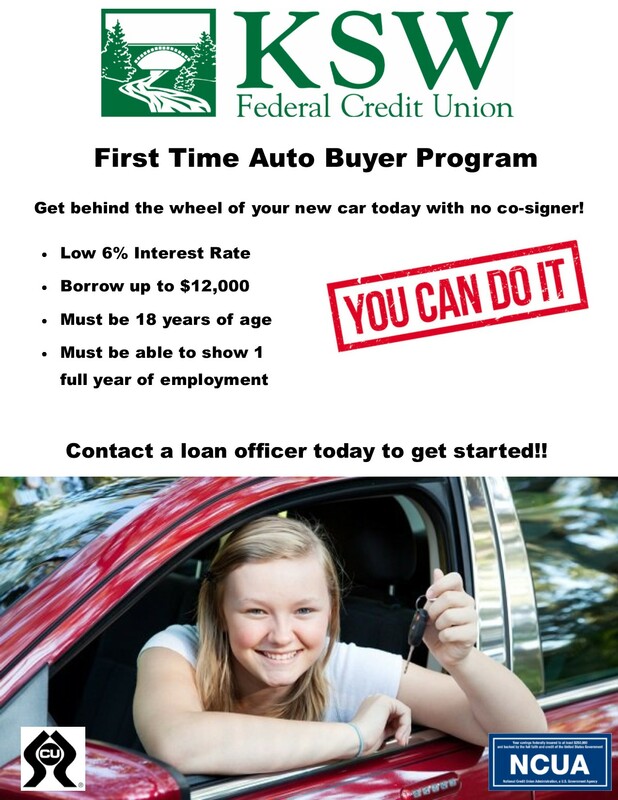 Here at KSW Federal Credit Union, we want to help you get your dream vehicle with the lowest interest rate. Whether you are looking to refinance with us, or purchase a new or used vehicle, we want to be your lender. We make the process easy to make your life easier. Stop in or call a loan officer today! Service Agreements by CU Certified Automotive. Visit the link below to see which plans suits you best! For all of you first time auto buyers, check out our First Time Auto Buyers Program! We can help you get on the road in a new vehicle all by yourself! Click here to learn more. Find out the value of your vehicle today! If you are shopping for a recreational vehicle, come visit or call us today. With KSW, you will save money every month to allow you to enjoy all of Maine’s seasons! We offer incredibly low interest rates for recreational vehicles and other toys. For more information on special offers, contact one of our branches. KSW offers everything from computer loans to traditional personal loans. Whatever your exclusive needs are, KSW can help and is committed to meeting your needs! With a shared secured loan, you can borrow up to 100% of the balance in your share account and receive a low-rate loan, while continuing to earn interest on your money on deposit! KSW is here to help you stay warm this winter. We offer heating equipment and fuel loans at a low rate. If you need a wood stove, new oil tank, or furnace, we can help you! KSW Federal Credit Union offers traditional mortgages with terms up to 15 years for loans held by KSW. If you are looking for your first home, a new camp, seasonal property, or retirement home, KSW FCU can help you with every step of the process! We have affordable closing costs, quick turnaround, and in house processing. If you are looking for a longer term on your loan we have the option for you. KSW has teamed up with CUSO Home Lending to bring you the best mortgage options with terms up to 30 years. CUSO also offers low down payments to qualified buyers. Follow the link below to take the next step towards owning that new home. A home equity line of credit is a great option to handle all of those home projects that may be just out of reach. Borrow the equity in your home up to 80% of the appraised value and use it as you see fit. The beauty of this line of credit is that it doesn't go away. As you pay your balance down the available funds return leaving you in the drivers seat of your finances. Contact a loan officer for full details by clicking the link to the right! KSW Credit Union has you in mind with every transaction you make. Your KSW Visa Credit Card now comes with Score Card Rewards. You earn valuable points that can be redeemed for merchandise, airline tickets, or travel accommodations for every qualifying purchase made using your ScoreCard Rewards Visa! Looking for a perfect gift but no ideas? We also offer Visa Gift cards for any occasion. We also carry Visa travel cards, the smart, secure way to travel. For more information, click the button to the right. To apply, click here! KSW Federal Credit Union is partnered with Sallie Mae® to meet your college needs. For graduates attending degree-granting colleges, the Sallie Mae® loan is the perfect solution to help you pay for expenses not covered by grants or scholarships. For more information, please click the information button.